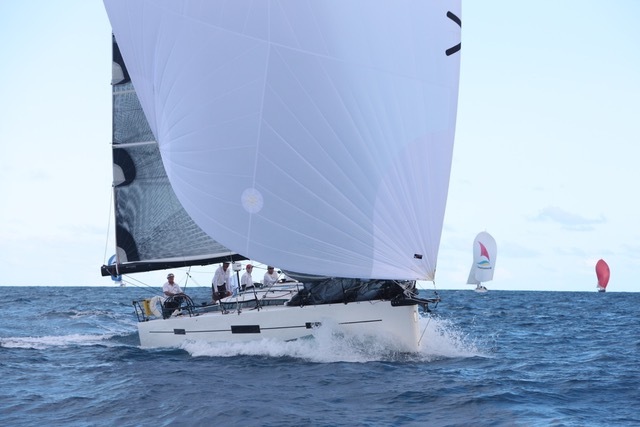 You can join Sailing Logic to race in the Antigua Bermuda Race on board PATA NEGRA, the beautiful prototype IRC 46 design by Marc Lombard. Our programme starts with 2 days of training and preparation, then the race itself which should take around 5-6 days. Racing with Sailing Logic in the Antigua Bermuda Race will be a truly unforgettable experience. Previous racing experience is required and prior offshore experience is preferred to ensure that we are both safe and competitive. If you think you might get more out of your racing experience with some pre-regatta sailing, contact us for advice. We offer RYA courses, and Introduction to Racing Courses before the event. Mooring and berthing fees, race entry fees, racing skipper and mate, 2 days training and the RACE! !, food on board and branded team shirt to keep. There is no accommodation aboard before or after the race. We will assist you if you struggle to find a suitable solution.